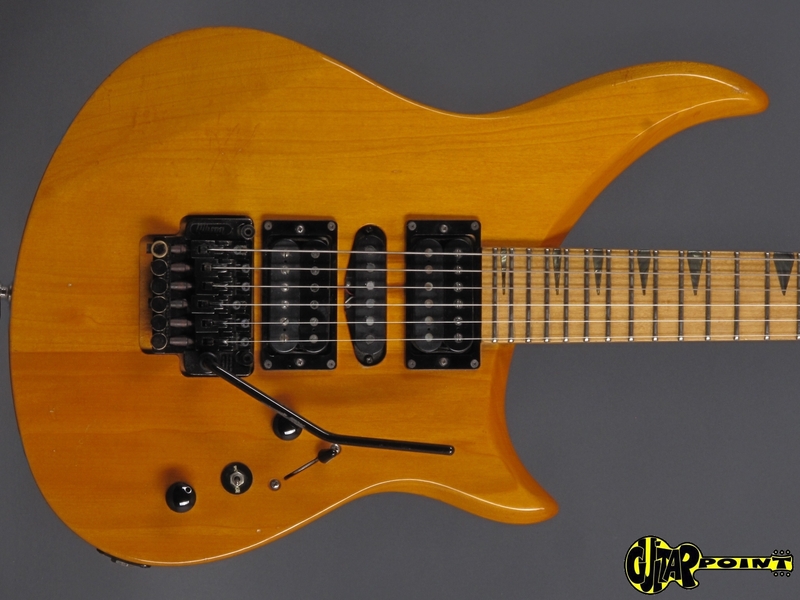 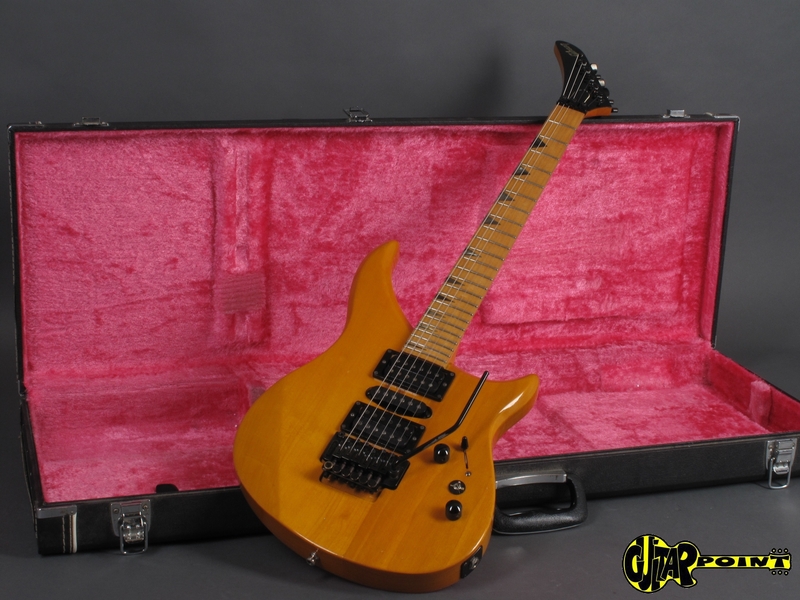 This is a rare 1991 Gibson M III Deluxe in Natural finish, Gibsons take on a modern rock guitar to compete with Kramer, Jackson or Charvel. 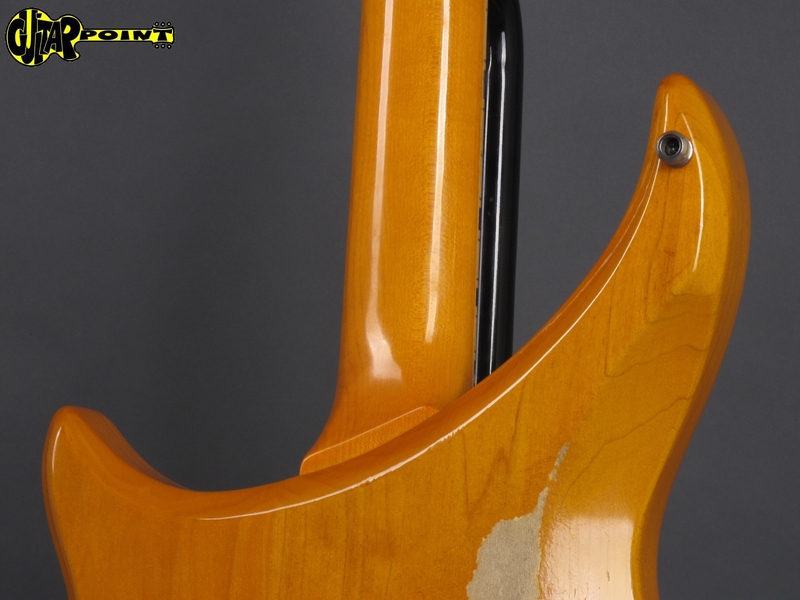 The guitar is alloriginal and in super condition for its age, some playwear on the backside of the body, the original frets are still in great shape. 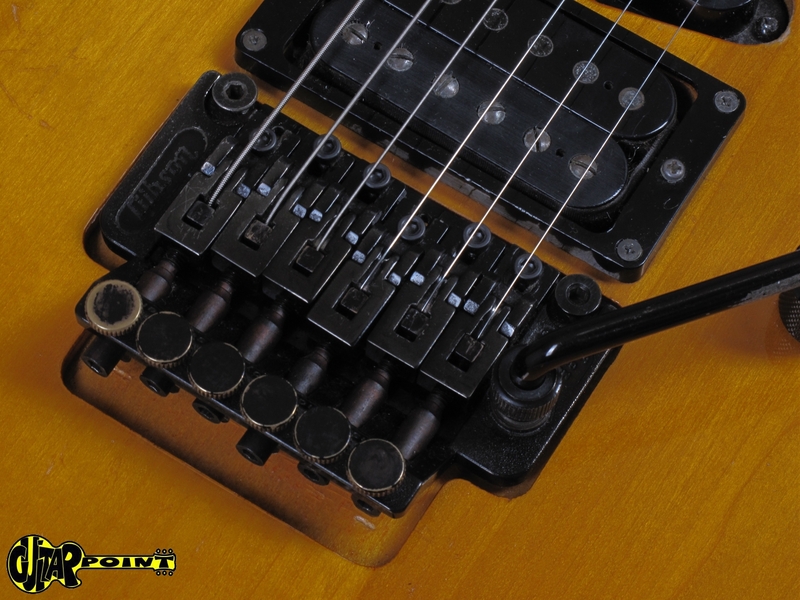 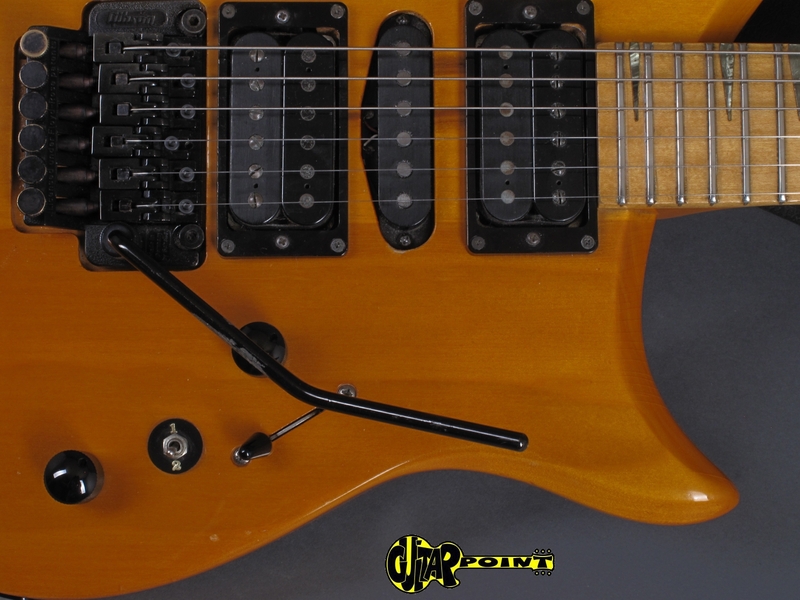 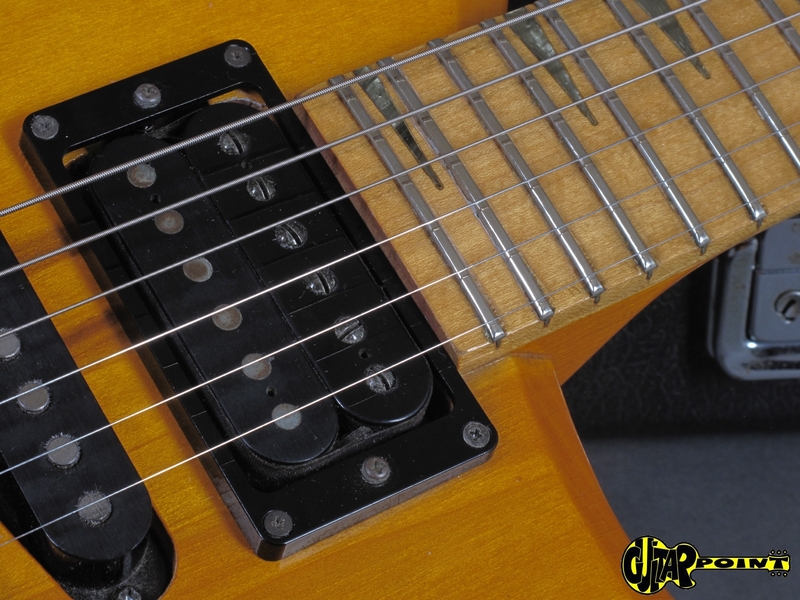 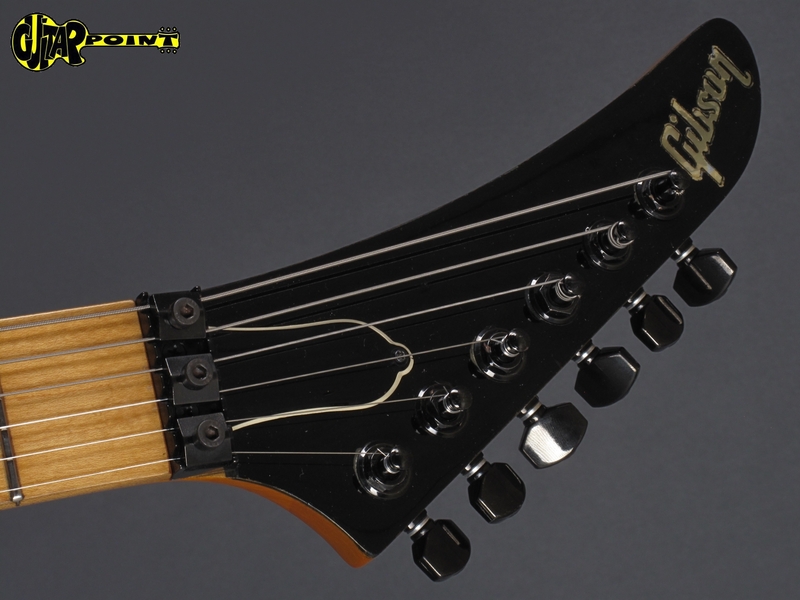 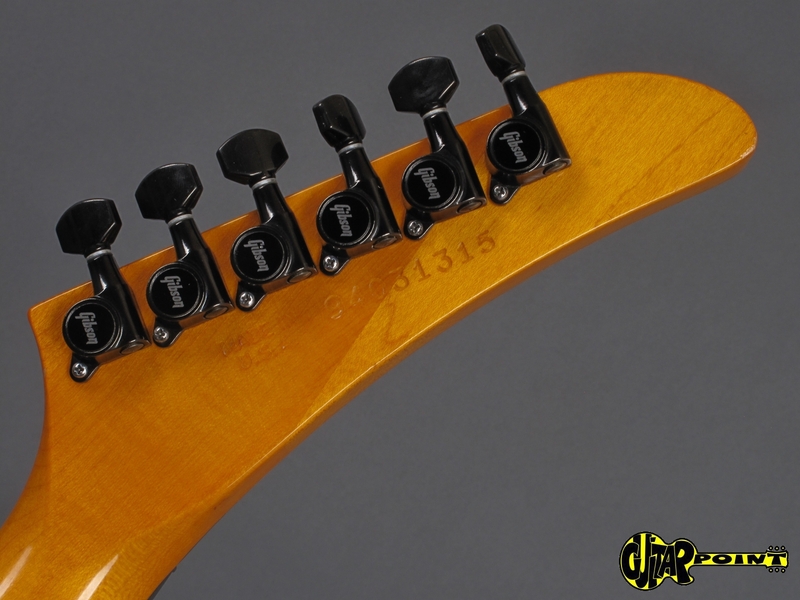 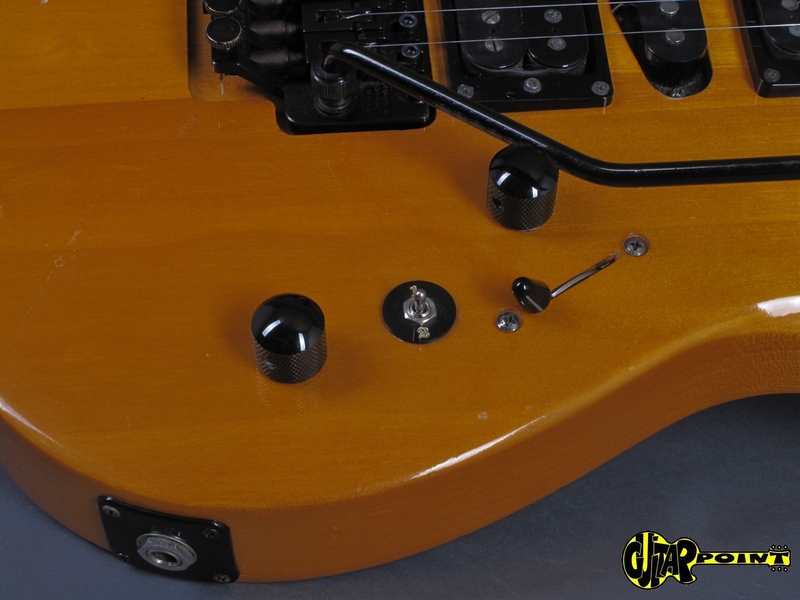 Great sounding instrument with 2x humbuckers and1 singlecoil PU, which can be selected by a 5-way switch. 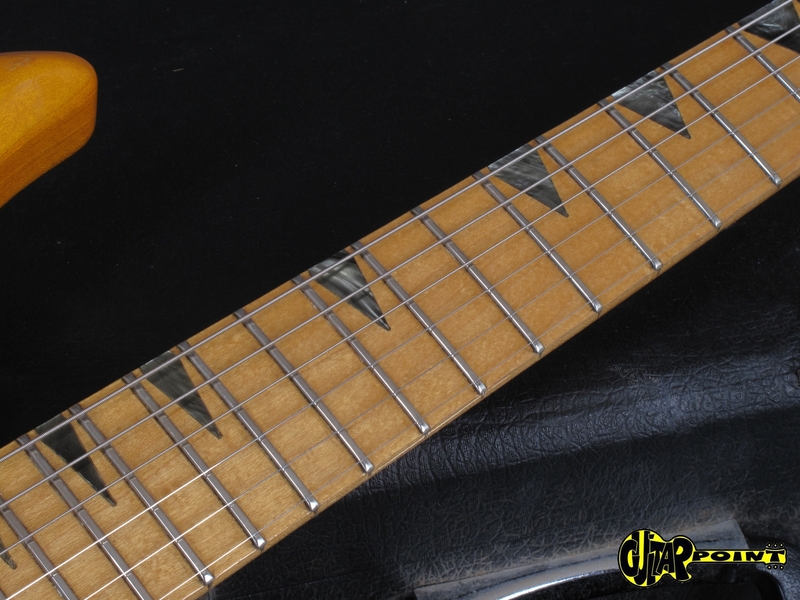 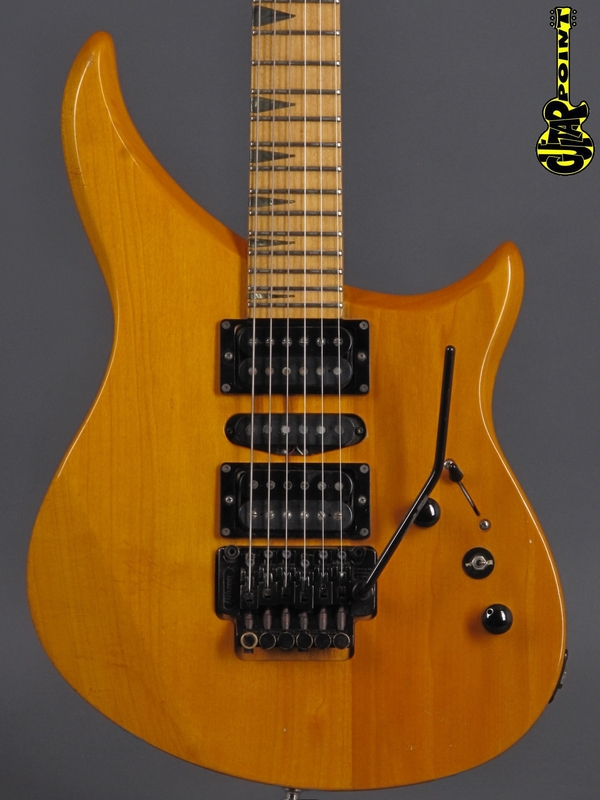 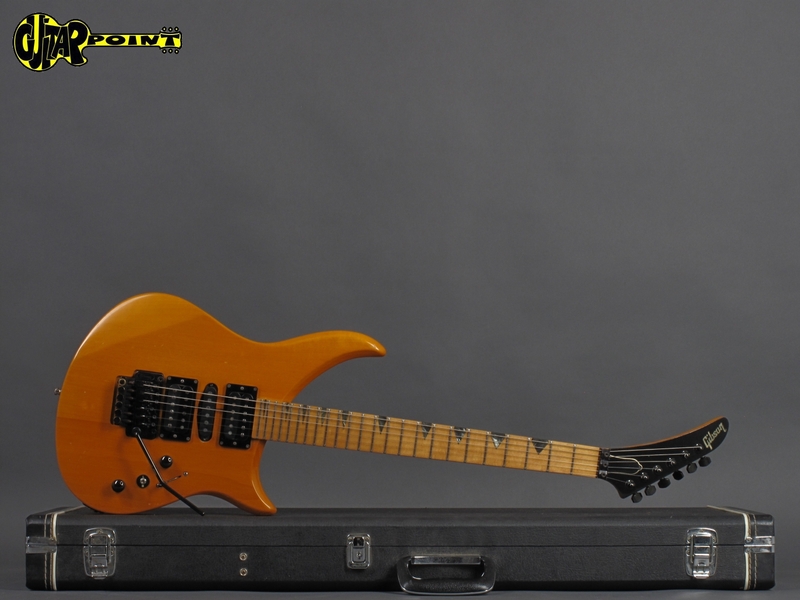 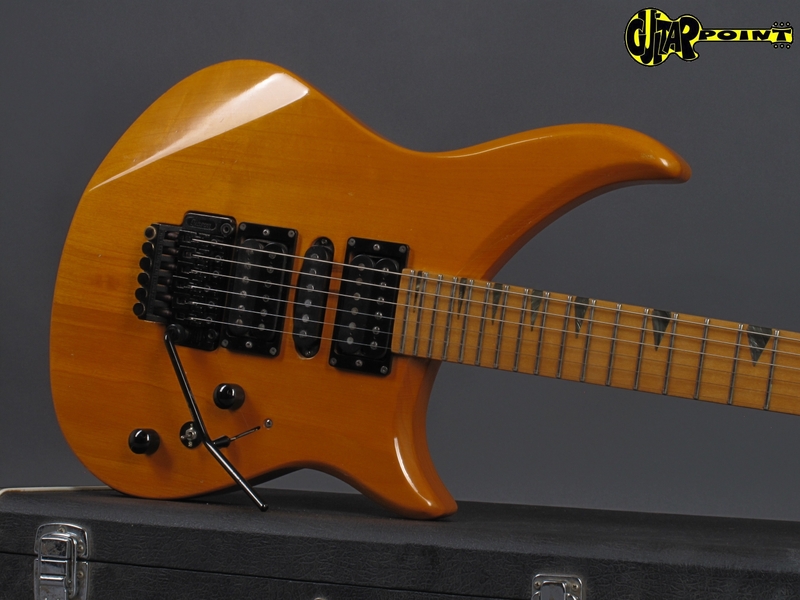 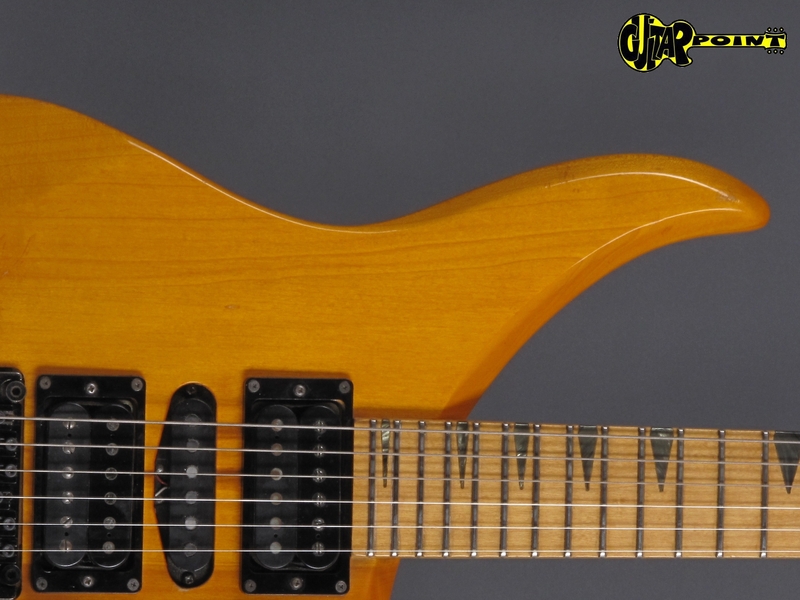 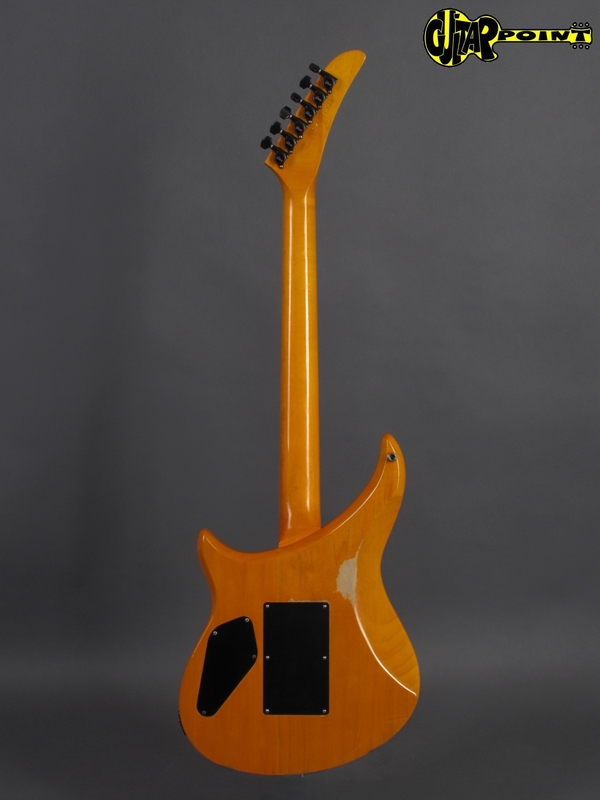 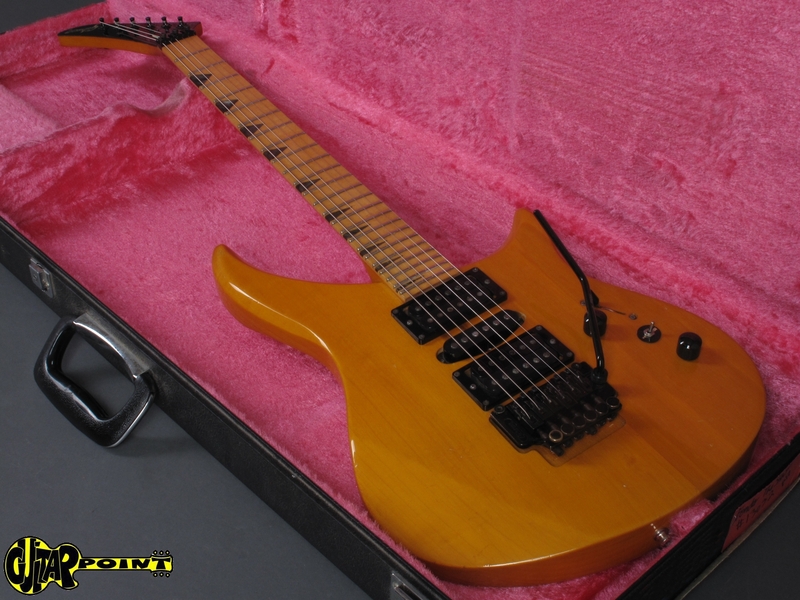 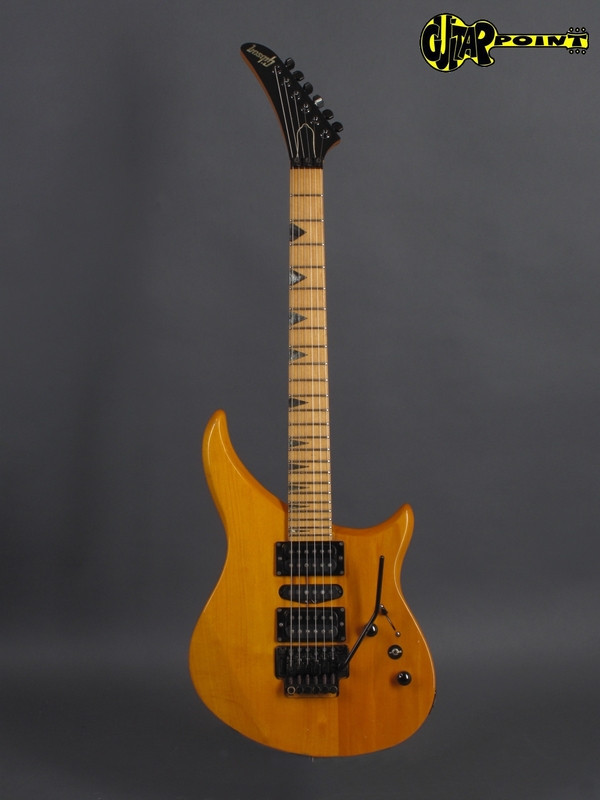 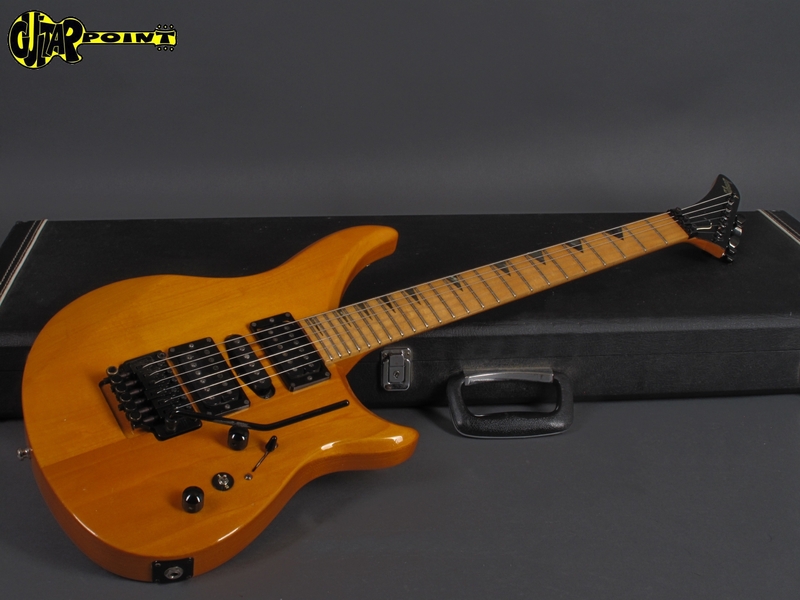 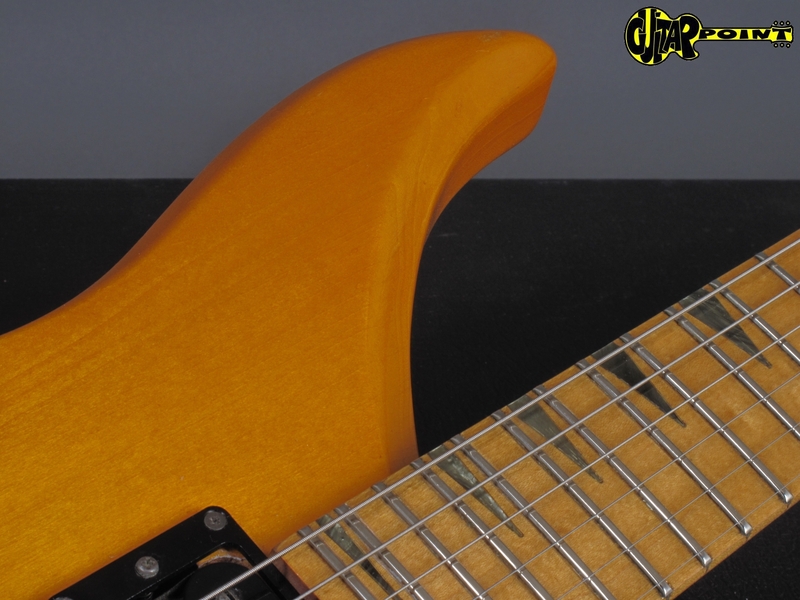 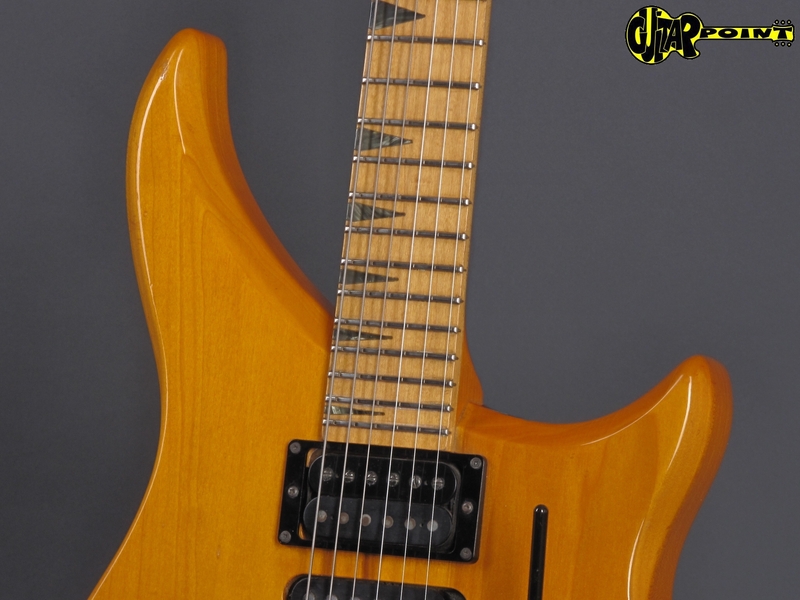 Poplar body, maple neck with maple fretboard, Gibson-/Floyd-Rose trem and set-neck construction! 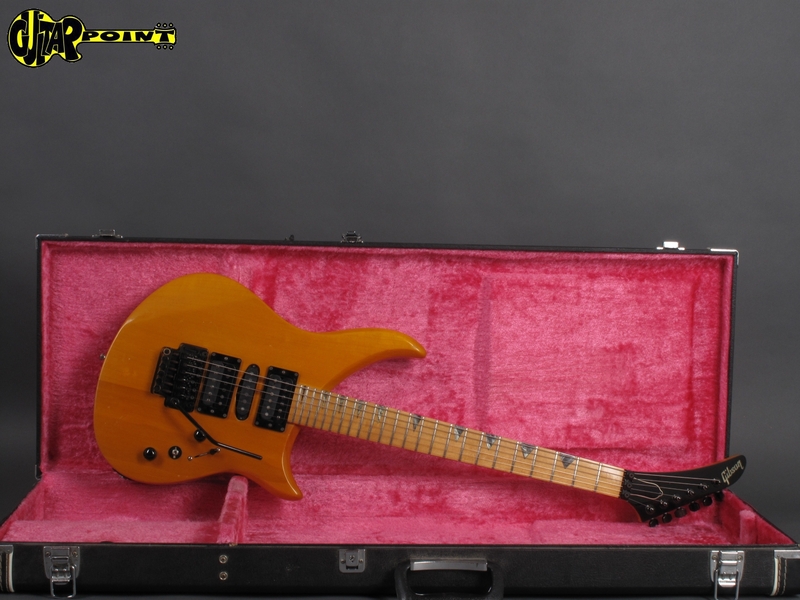 Comes in black hardshell case with pink interior. 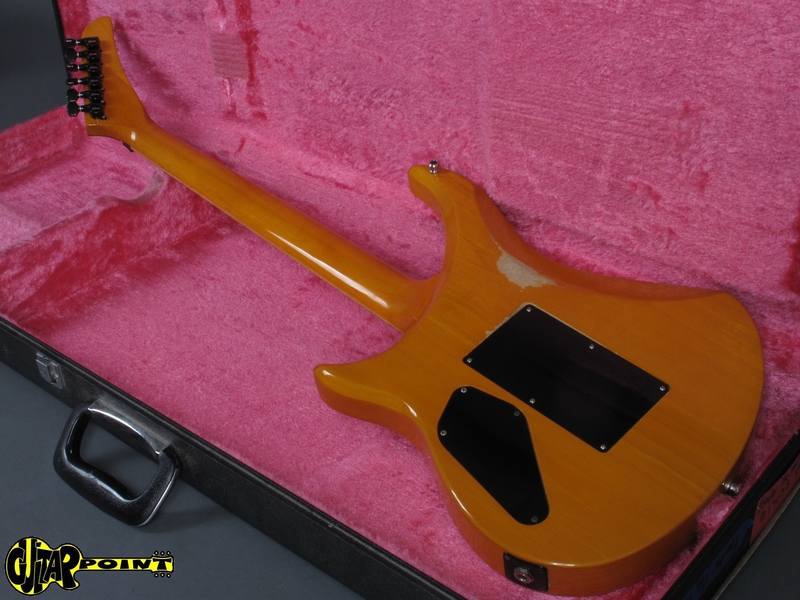 Black hardshell case with pink interior.